Is it just me or is the summer flying by? I know I sound like a walking/talking cliche, but I feel this impending sense of doom that summer is about to end, even though my rational mind keeps telling me that technically have nearly two months of summer left. Maybe it’s because my sweet baby boy (or, um, wild animal toddler kid) turned 2 years old yesterday and I am just barely dealing with the reality that he is becoming more kid and less baby by the second. Oof. The good news is that there’s more summer to savor, the wild toddler stage is a lot of fun (and a lot of work), and there’s cake. Always cake. 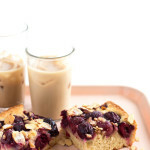 This cake is a riff on my Cherry Almond Buckle from last year. 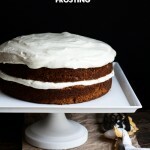 It’s a super easy cake, requiring just a few dishes, a spatula, and a whisk. 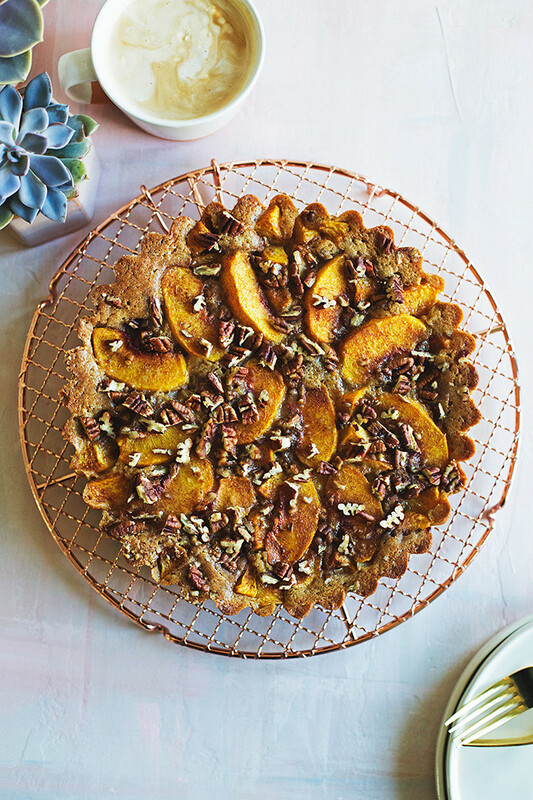 This version has lots of dark brown sugar in the batter for that hit of molasses richness, plus brown butter, because it makes all things better, and juicy, sweet summer peaches. We’re in the midst of peach season and since the perfect peach is such a rare treat–you know, with flesh that’s just yielding but still firm, impossibly sweet but somehow still slightly tangy, and just exploding with juice–I think it’s best saved for eating out of hand. This cake, however, is perfect for those nearly perfect specimens that haven’t quite reached their potential. Maybe they’re a little mealy or a little too firm, but still fragrant and sweet and totally worthy of nestling into this rich, buttery brown sugar cake. 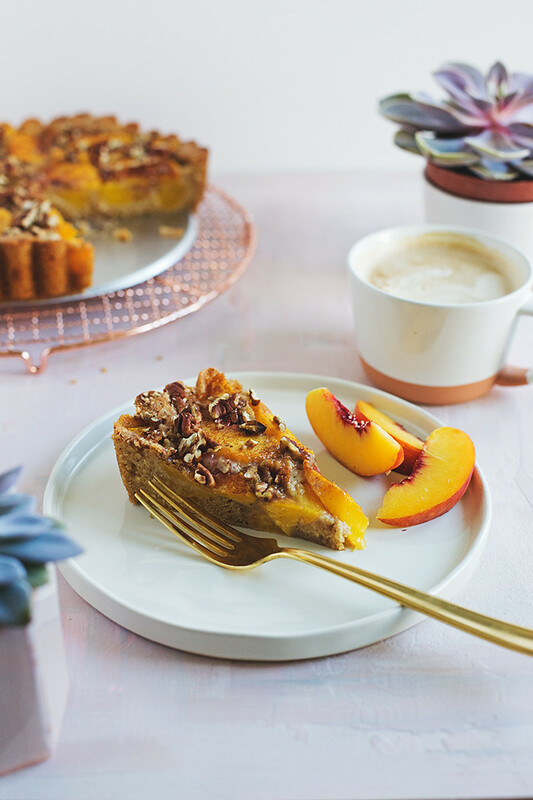 An easy summer cake envelopes sweet peaches with a rich brown sugar and brown butter cake batter that's sprinkled with toasty pecans. Brown the butter in a saucepan over medium heat, stirring occasionally until the solids in the butter become deep golden brown and has a nutty fragrance. Pour the browned butter into a dish and set aside to cool. Preheat the oven to 350°F. Spray a baking pan with cooking spray. In a mixing bowl, combine the cooled brown butter and brown sugar. Beat in the eggs, one at a time, mixing well after each. Beat in the milk and vanilla. In another bowl, whisk the flour, cinnamon, salt, and baking powder. Add the brown butter mixture and mix until just combined. Scraped the batter into the prepared pan. Scatter the peaches over the top of the batter, there will be a lot of fruit, but that’s totally fine! Just press the fruit into the batter as needed. Sprinkle the chopped pecans over the peaches and batter. In a small dish mix the sugar and cinnamon together and sprinkled over the top of the peaches, batter, and pecans. 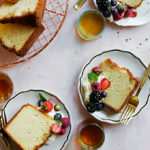 Bake on the center rack of the preheated oven for 50-60 minutes, or until a toothpick inserted into the center of the cake batter comes out clean, and the edges of the cake slightly pull from the edge of the pan. Cool the cake on a wire rack for at least 20 minutes before cutting. 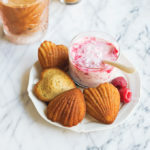 Serve just warm or at room temperature. 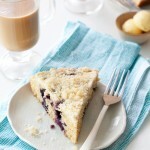 This cake is best the day it’s made, but also makes a great breakfast treat the next day! 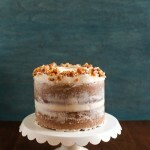 You can also bake this cake in an 8x8 or 9x9 inch square dish. my tree just gave up a ton of nectarines, so i’ve been using them everywhere (and eating like 2 per day). this sounds like such a good home for some of them! Yes! Nectarines would be perfect here, also I’m jealous of your tree! Ooh, I so love the sound of this! Just the thing for making summer last longer. Oi..,. I can definitely relate. My daughter is starting kindergarten in September. I can’t believe it! I don’t think I am ready for all of that just yet. I miss my baby!! This buckle is seriously calling my name. I need to go peach picking soon and this will be on the top of my list! Oh, god. I’m going to be a WRECK when he starts going to school!